People who have traveled to Cape Town talk about it – and keep talking about it. Before visiting South Africa, we asked ourselves, ‘what in the world could make people rave about it so much?’ And then we visited Cape Town. It is a modern, worldly city with an appeal that keeps visitors coming back again and again. While the many Cape Town attractions can fill your days, it’s also a great city for just living in the moment. 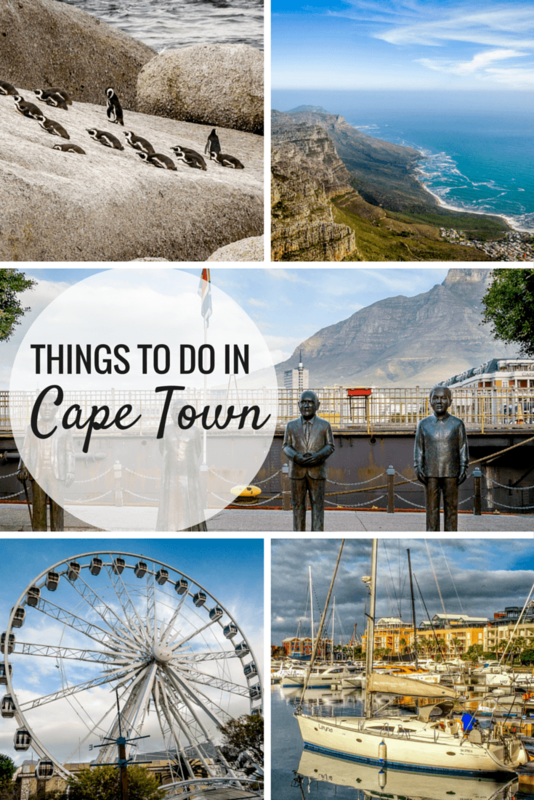 First time visitors (including us), start with a list of things to do in Cape Town. We had our own list of “must see” Cape Town attractions: Table Mountain, the V&A Waterfront and Robben Island. At least, that was the plan. Many of the top attractions have banded together in a marketing initiative called the Cape Town Big 6 with slickly produced brochures touting the Cape Point, Groot Constantia vineyards, the Kirstenbosch National Botanical Garden, Robben Island, Table Mountain Cableway and the V&A Waterfront. We quickly learned that you plan your visits to the various Cape Town attractions around the weather. When you can see Table Mountain, it’s not in clouds and the wind isn’t blowing too strongly, visit Table Mountain. And when the seas are calm, visit Robben Island. Unfortunately, poor weather during our trip prevented us from visiting Robben Island. 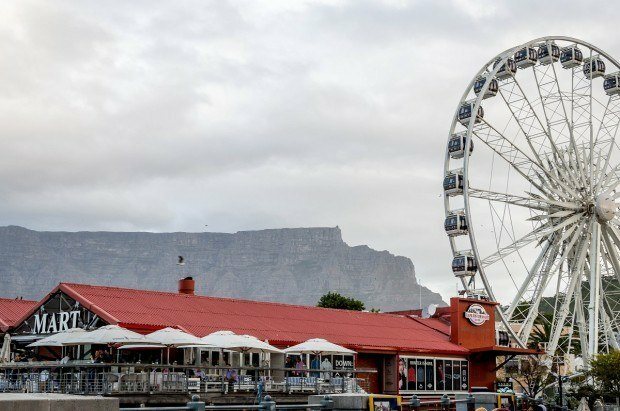 So, we came up with our own list of Top 5 Things to Do in Cape Town! No visit to Cape Town is complete without riding the Table Mountain Cableway (Cable Car). Table Mountain’s sandstone face forms a dramatic backdrop for the city and dominates the skyline where you are in the city. The Table Mountain National Park is populated with unique plantlife not found anywhere else on Earth. However, visitors come for the Table Mountain Aerial Cableway, a cable car system that whisks visitors over 2,500 vertical feet in under five minutes. For people with a fear of heights, the trip can be a real challenge, but we promise the views are worth it! The Victoria & Alfred Waterfront is the front porch of Cape Town. Early visitors and settlers came by sea, so the V&A Waterfront was their first stop. It is not only one of the top Cape Town attractions with over 23 million visitors annually, but the V&A Waterfront is also the most visited attraction in all of Africa. The V&A Waterfront has a large mall, numerous restaurants, several hotels and serves as the launching point for Robben Island tours. 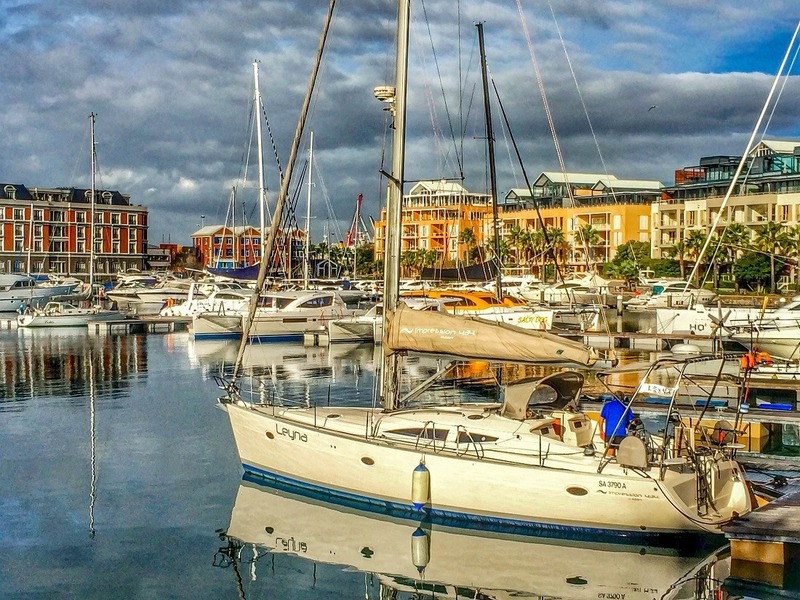 It’s nearly impossible to visit Cape Town and not visit the V&A Waterfront. 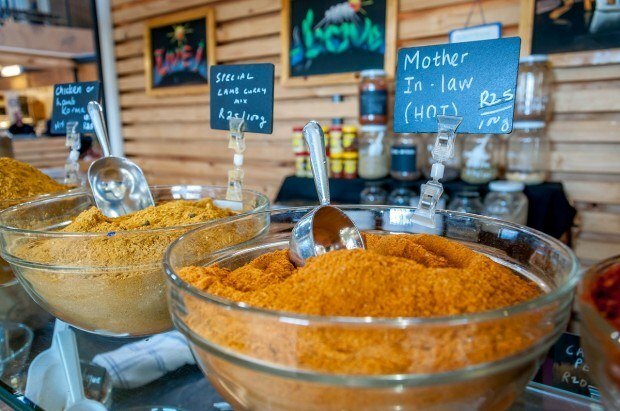 One of our favorite things to do in Cape Town was visit the massive food market called the Market on the Wharf – two floors of vendors selling fresh, made-to-order lunches from burgers and salads to ethnic and exotic foods. 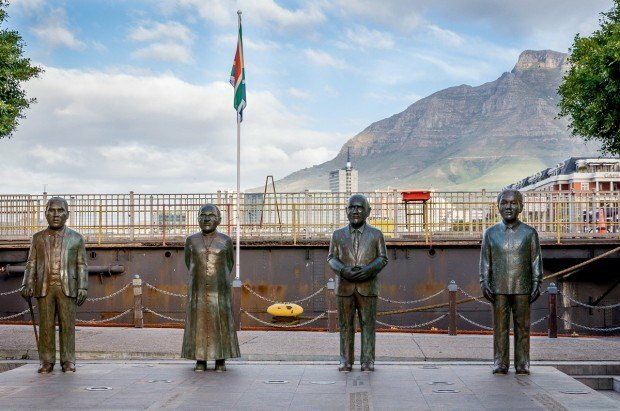 But for a more poignant experience, visit Nobel Square which honors the South Africans who have received the Nobel Peace Prize: Nkosi Albert Luthuli, Archbishop Desmond Tutu, F. W. de Klerk and Nelson Mandela. 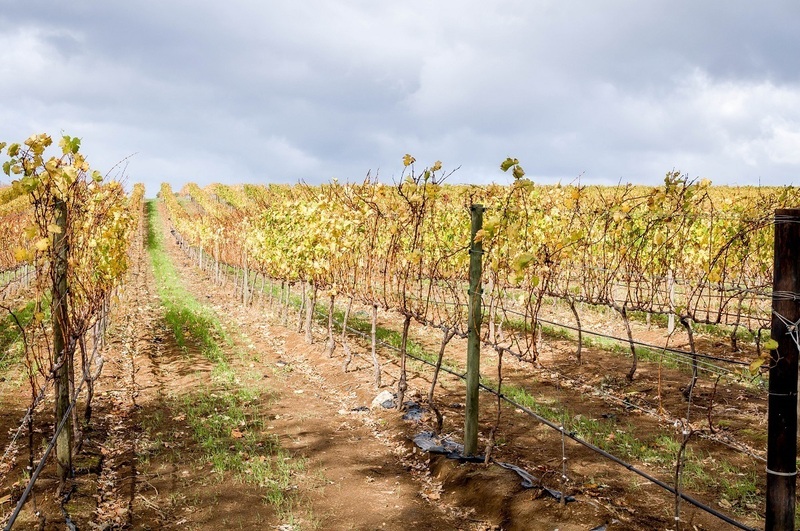 While the Groot Constantia winery is part of the Cape Town Big 6 marketing initiative, there are several distinct wine regions that can be visited as an easy day trip from the city. There’s the Constantia Wine Route, home to Groot Constantia and the Constantia Wyn – a deliciously sweet white dessert wine devoured by the royalty of Europe. There’s also the Stellenbosch Wine Route, known for bold warm-weather red varietals. If you can’t decide, why not visit both the Stellenbosch Wine Route and the Constantia Wine Route? We did! The Cape Peninsula is a beautiful piece of rock cutting deeply into the sea. The Cape Peninsula and the Cape of Good Hope are actually on the same spit of rock and an easy day trip from Cape Town. 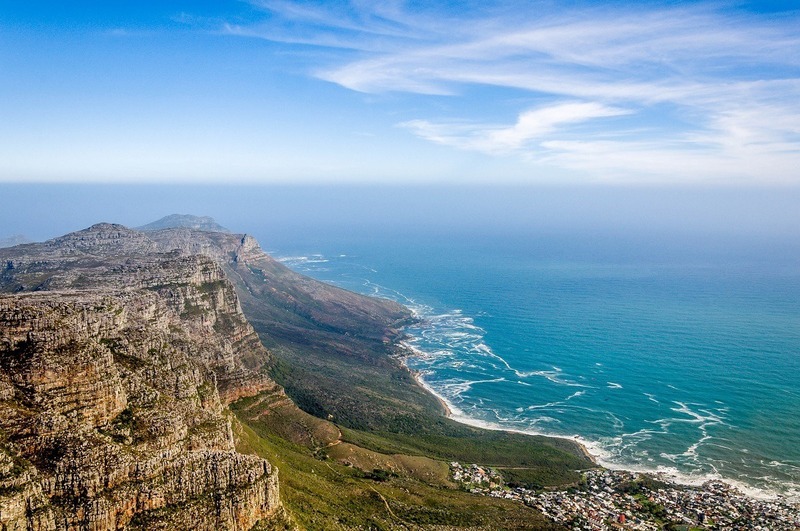 Connecting Cape Town, the Cape Peninsula and the Constantia Wine Region is The Cape Point Route – probably one of the world’s most thrilling drives featuring breathtaking views, steep cliffs, and exotic wild animals (including penguins). Most lists of Cape Town attractions tend to focus on the activities in the city. 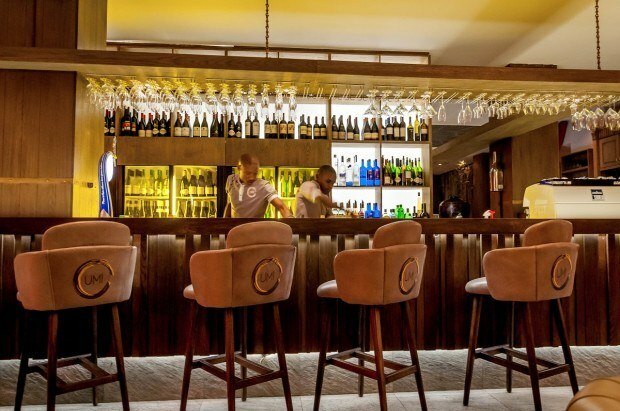 However, we found one of the best things to do in Cape Town is to just relax and enjoy the cosmopolitan atmosphere. For us, there’s no better way to enjoy ourselves than fine dining. Cape Town is a worldly city and features many exceptional restaurants with cuisines from around the world. A highlight for us was the hip Asian eatery called Umi Restaurant in the trendy Camps Bay section of Cape Town. We enjoyed buttery delicious langoustines with spicy lemon and garlic as well as beef filet with Shimeji mushrooms and yuzu truffle sauce. With so many top restaurants, the challenge is choosing! Of course that’s just our pick for the top 5 things to do in Cape Town, but there other options. 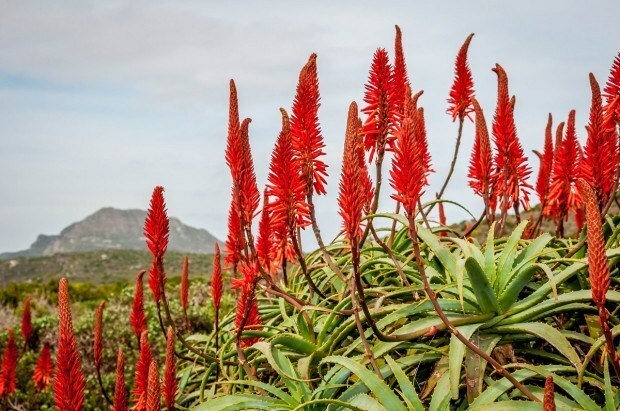 We drove by the Kirstenbosch National Botanical Garden (one of the Cape Town Big 6) and it looked lovely, but just wasn’t our thing. We really wanted to go to Robben Island, but the weather and rough seas didn’t cooperate. There are a number of excellent museums in Cape Town, but we were looking for less formal activities. There’s a ton of sea-based activities from deep sea fishing to scuba diving with the Great White Sharks (again, the weather did not cooperate with us). No matter what Cape Town attractions you select, you’re bound to have a phenomenal time in this worldly city. 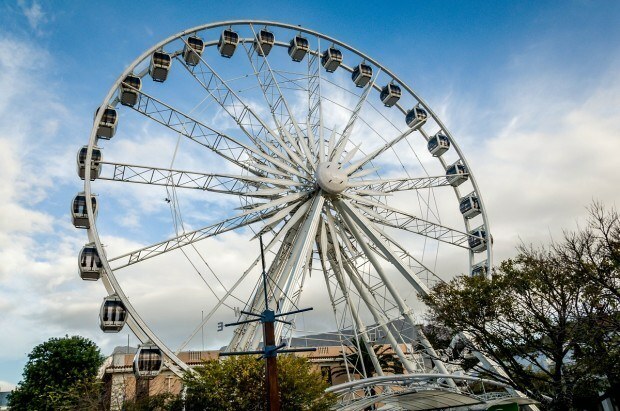 There are so many great things to do in Cape Town that you could easily fill a week and only begin to scratch the surface! What do you think about Exploring the Top Cape Town Attractions? I would love to visit Cape Town! The food and wine sound great, Table Mountain looks beautiful and penguins would be so fun to see! Cape Town has been high on our list for a while. We love wine, so the ability to combine African wines with penguins and such stunning scenery definitely draws us to this destination. My husband and I were just in SA this past August. We were given a locals tour by our daughter-in-law who was born and raised in SA. One of the places that we went to while in Cape Town on a Saturday morning was the Old Biscuit Mill – filled with vendors, music and a foodies paradise. 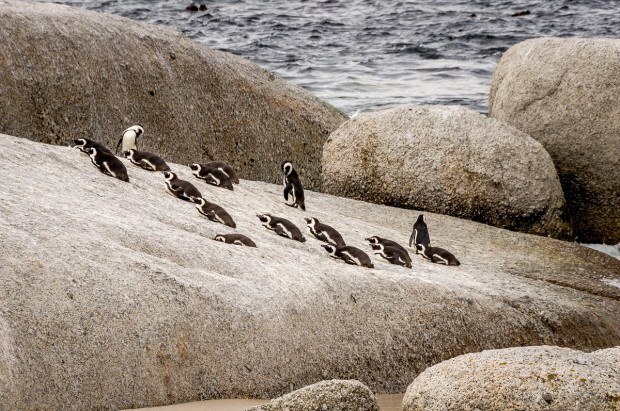 While driving to Cape Point, stop at Boulders Beach to see the penguins and how the colony has grown from a single nesting pair in the 1980’s to the large colony that they have now. This country has quickly become one of my favorites. 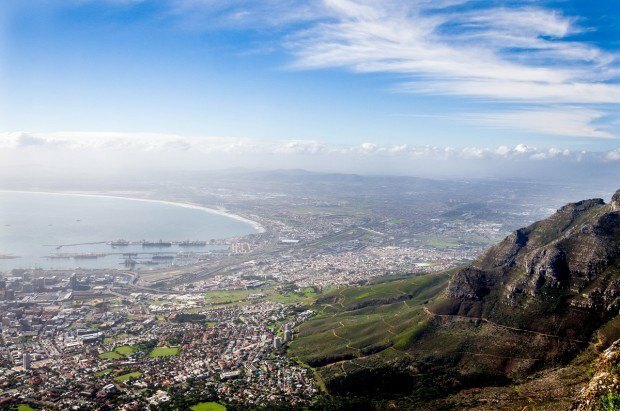 A great post about Cape Town! We spent a few days there earlier this year and absolutely loved every part of it. We loved our South Africa trip. Cape Town was fabulous and so gorgeous from above in a helicopter too. Africa is just stunning! Great post about Cape Town. We really wanted to do a helicopter trip in Cape Town, but it didn’t work out for us. Great city, we loved it very much and we’re hoping to visit again. During our time in Cape Town, there weren’t a lot of other visitors. It was off-season. So, we had a great opportunity to take lots of pictures without other visitors.